Made the trip to Tipperary at the weekend to visit the folks. My Mother, 2 brothers and their families live there plus the multitude of other relations. 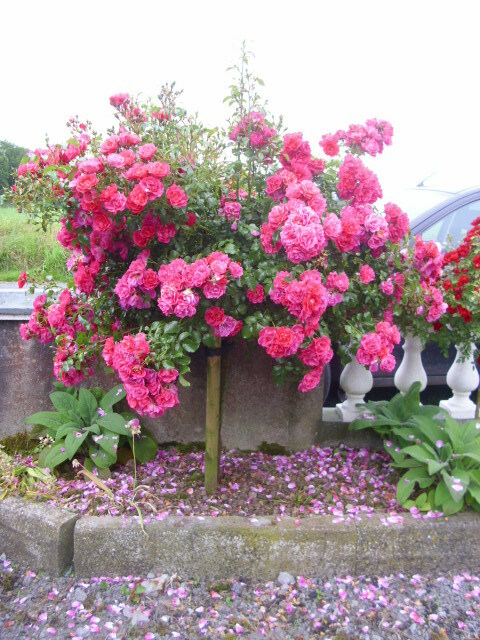 Stayed with my Mother, Lizzie, and as usual her front garden is a riot of colour. A lot of these, Sunflowers, Marigolds and Sweet Williams she grows from seed in a small polytunnel. 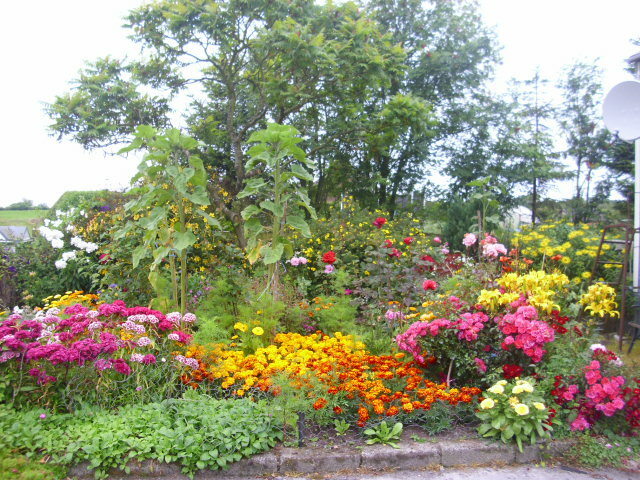 Lots of perennials too plus self-seeded stuff makes for an eyecatching display. A standard Rose, a birthday present from Andy and I 3 years ago is covered in beautiful blooms. 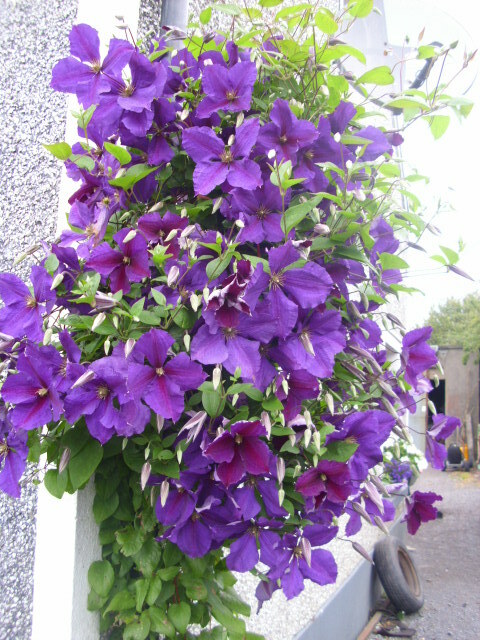 This Clematis Lizzie grew from a cutting some years ago. 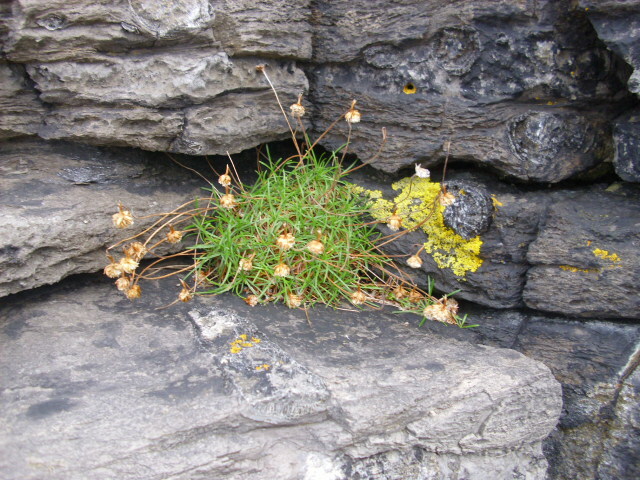 It produces a mass of flowers each year. I have taken several cuttings and none have taken. I guess Lizzie’s fingers are greener than mine! On Sunday afternoon Lizzie, myself and nieces Bridget and Shauna went for a drive to Moneygall. This little village has become a tourist destination since Barack Obama visited there some weeks ago. Falmouth Kearney, a maternal great great grandfather of Barack Obama’s emigrated from here in 1850. 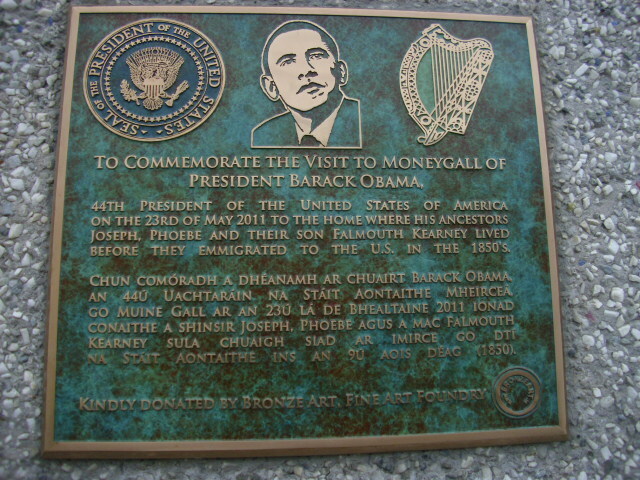 The plaque above has been erected on the site where the Kearney family lived. 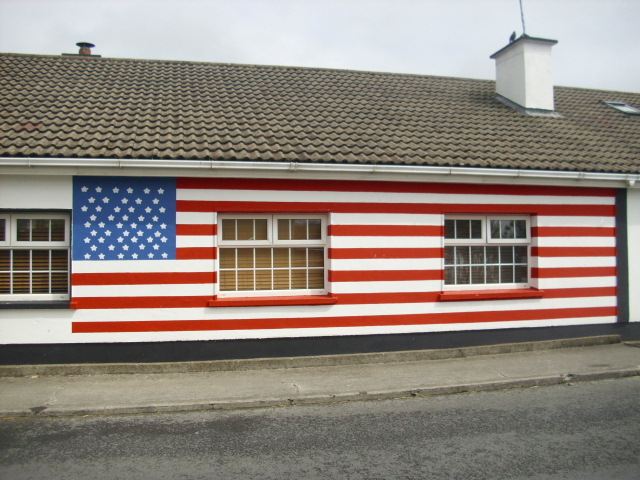 Some people are taking the American link a bit far but Obama’s visit has certainly brought new life to this little village. There’s an Obama Cafe, a new gift shop selling lots of items with Obama’s face and signature on, and of course the bar where Barack and Michelle drank the famous Guinness is doing a roaring trade. 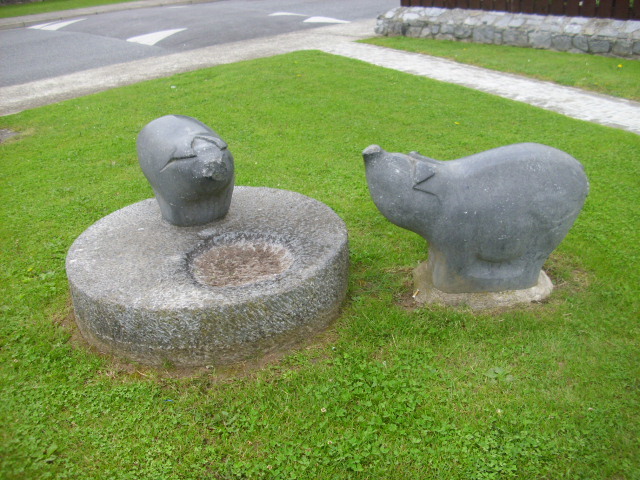 Stopping in the village of Urlingford, Co. Kilkenny, I spotted these pigs sculpted from limestone. Are’nt they great. Pity some vandal broke the snout of one of them. Senseless vandalism, I hate it! 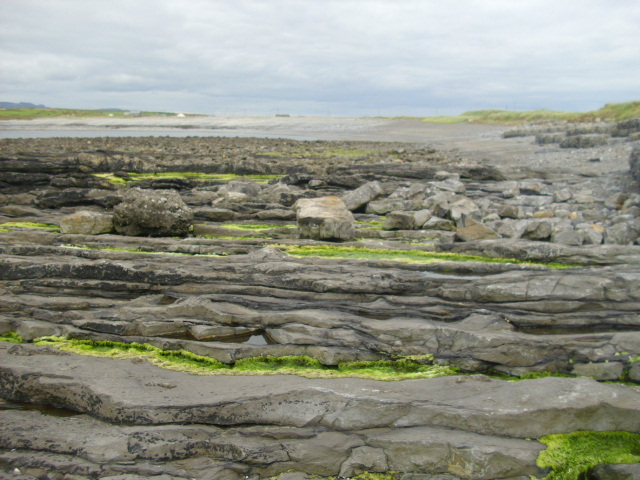 Went to visit this lovely area near Grange, Co. Sligo a few days ago. It was fairly windy so it was quite “fresh” coming to evening. 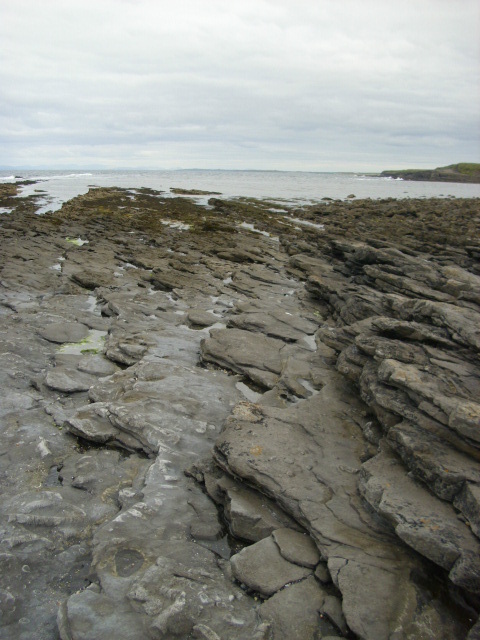 As you enter you can go right to a stony beach or left to an area of solid rock that must cover a few acres. This solid rock area is really beautiful, well the whole area is, but this is strikingly, amazingly beautiful. 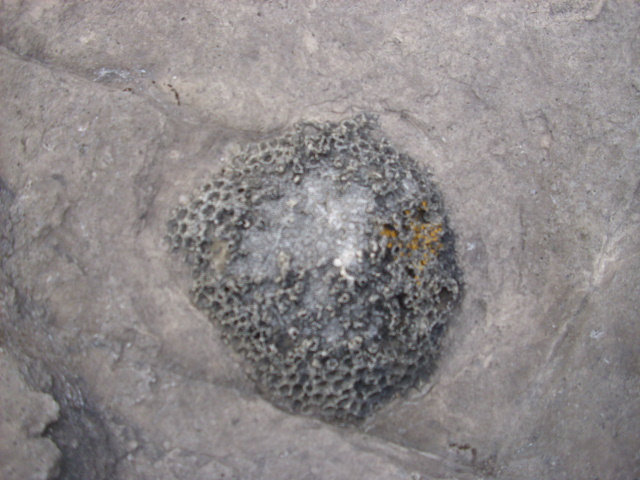 The limestone is littered with fossils, each one so beautiful and intruiging. 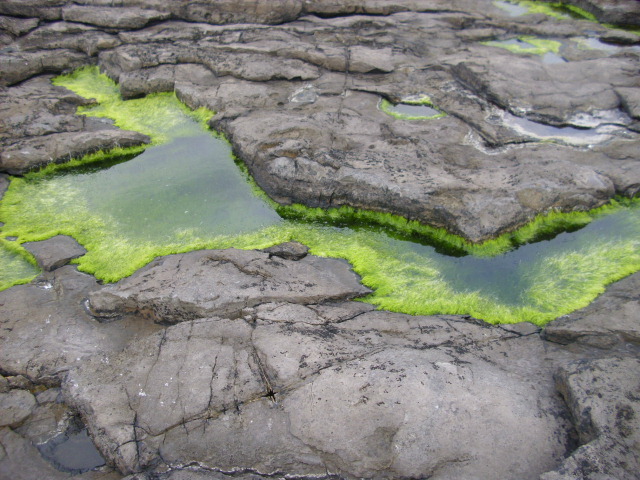 Depressions in the rocks hold little pools of water with the most amazing bright green algae. 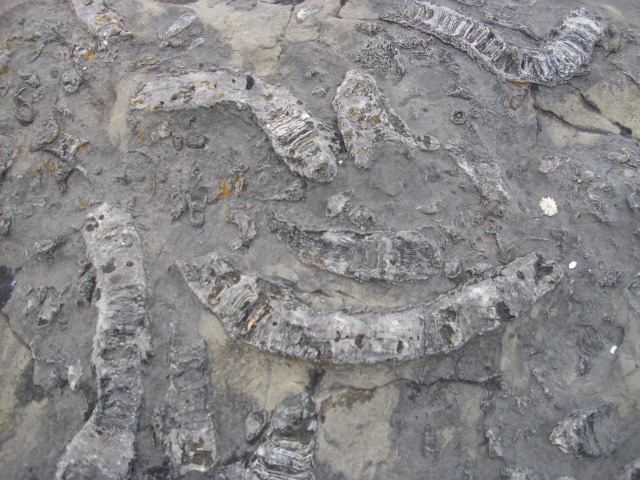 and this fab fossil made up of so many little tubes. Such a beautiful fascinating place. I shall return! Arigna to Tipperary & back again! Just back from a few days in Tipperary visiting the folks. My Mother, 2 brothers and their families live there. 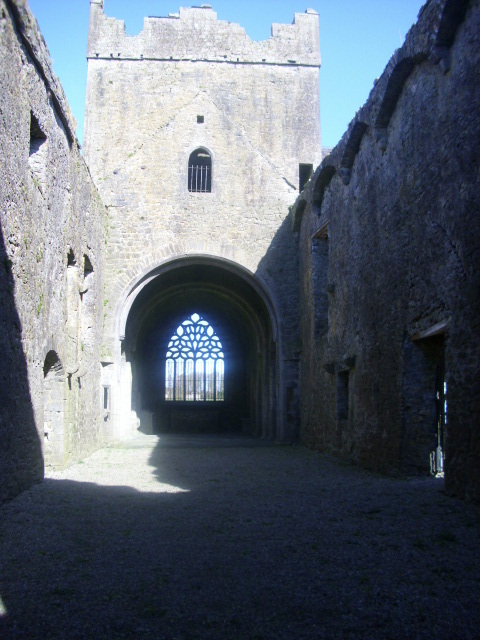 After treating my Mother, Lizzie, and 2 neices to Sunday lunch we decided to go to Kilcooley Abbey which is a short drive from Thurles near the village of Gortnahoe. 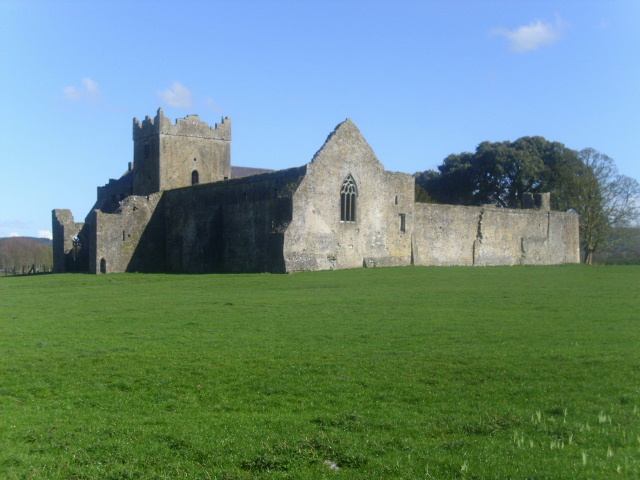 The Cistercian Abbey was built in 1182 by Donal O’Brien the then King of Munster. 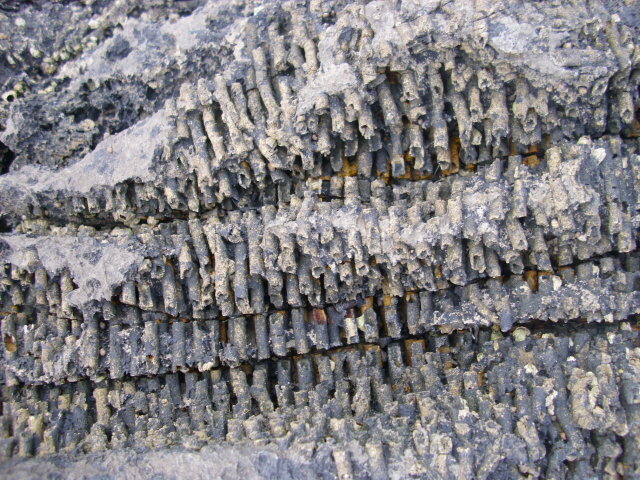 It is a fine limestone building and one can imagine it as a hive of activity in olden days. 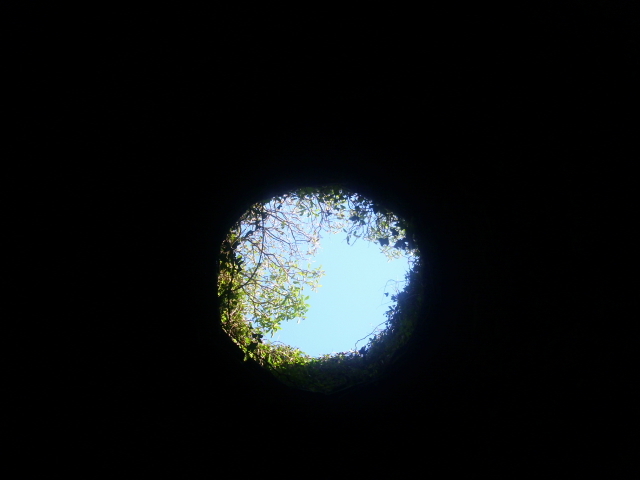 On entering the site your eye is first taken by the beehive shaped hut situated outside the Abbey walls. Local historians have come up with various theories about this building. 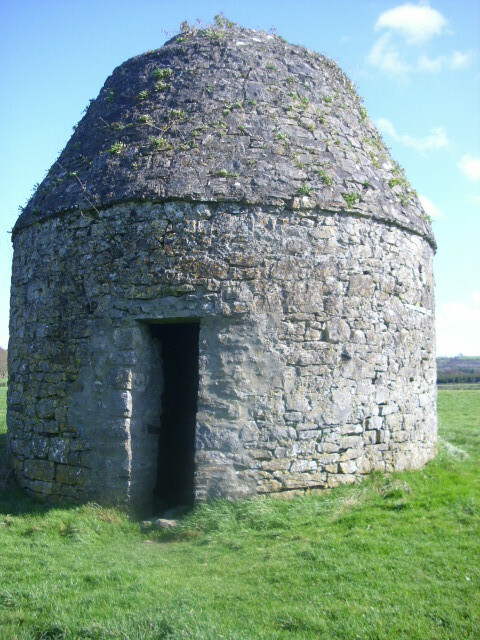 One suggestion was a Columbarium (a place where cremated remains were kept), but most believe it to be a dovecote. The 3ft wide hole in the ceiling would seem to add credibility to this opinion. The doves would have left and entered through here. 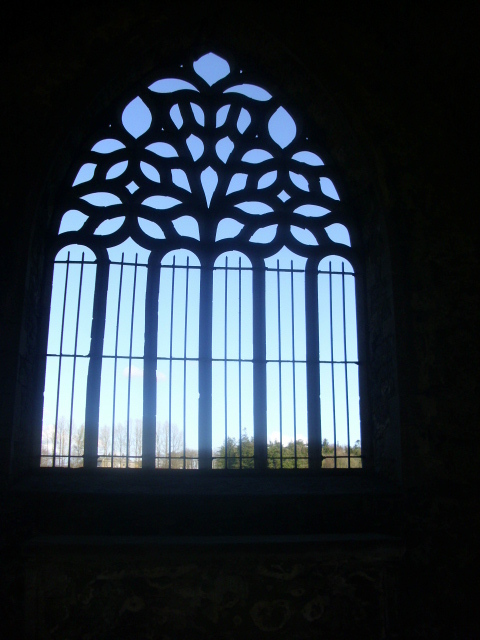 On entering the ruins one’s attention is immediately taken by the tower with the beautiful Gothic east window below it. It’s hard to believe this amazing stonework was done in the 12th century by someone with just hammer and chisel! True skill and artwork. I returned to gaze in awe at it half a dozen times. 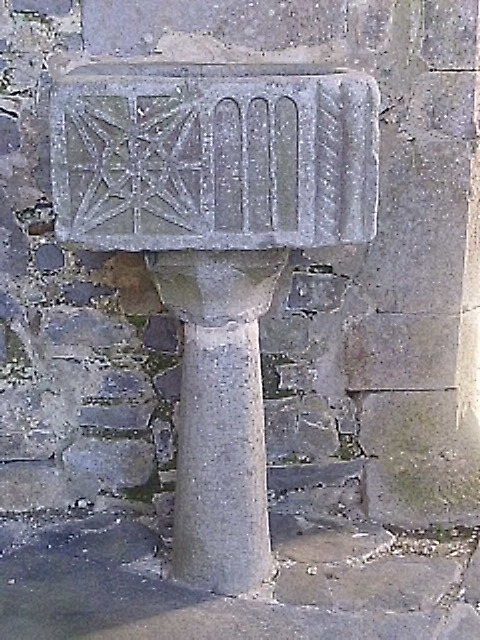 The presence of this baptismal font shows that Kilcooley was a place used by the surrounding parish. It is in perfect condition with no restoration evident. What a place to have as your parish church and centre of the community! Will post some more pics tomorrow, am off now to recover after a 3 hour drive.